In most cultures, women's space is understood as private space, while public space is coded male. WisCon explicitly aims to create a non-separatist "women's space" that is public. A women's space that is also a public space is such a rare occurrence in our world that it feels science fictional. The word's been out for some time now that we're living in "post-feminist" times. And yet the world's largest feminist science fiction convention, held annually in Madison, Wisconsin, which many of the genre's luminaries attend, has become so popular that the ceiling limiting attendance to 1000 participants tops out months in advance. More than half those attending are women; and since the convention is openly feminist, women's issues dominate the programming. People attend to meet up with friends from other parts of the country (or the world) whom they've come to know online; they attend because the programming goes far beyond the "Feminism 101" that is the most they can hope for from most other science fiction conventions. But above all they come to experience the kind of community they can't get elsewhere. Some participants even characterize it as "four days of feminist utopia"—a reference to the communities created in the most famous feminist novels of the 1970s. 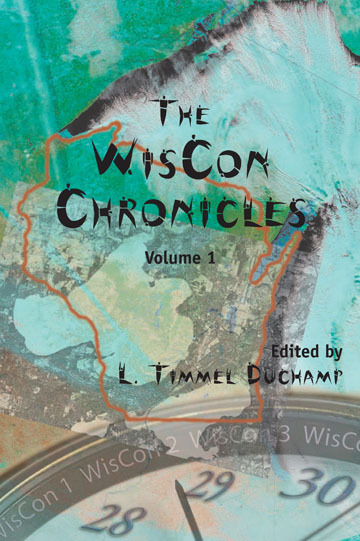 L. Timmel Duchamp has assembled a collage of diverse materials to document the thirtieth anniversary of WisCon, which was a grand reunion of most of the convention's previous Guests of Honor. These include the transcript of Samuel R. Delany's interview of Joanna Russ, several essays reflecting on the diverse aspects of the convention, as well as papers presented in the academic track, panel notes and transcripts, an original short story by Rosaleen Love, and Eileen Gunn's snappy series of Q&A with numerous WisCon attendees, among them Ursula K. Le Guin, Julie Phillips, Ted Chiang, Carol Emshwiller, and Suzy McKee Charnas. "In addition to capturing the proceedings, [Duchamp] also was interested in exploring hot-button issues that emerged from the discussions. Homing in on those areas of discomfort fits with the convention's reputation as an event that goes beyond Feminism 101." "In its mix of writing levels, range of expertise of the interviewers, interviewees, panel transcripts and shorter pieces, this work demonstrates that knowledge can be transmitted at various levels of discourse, underlining the value of events like WisCon and chronicles of those events like this text. . . . I can recommend this book, especially as the chronicle of an event that cannot be repeated: a weekend in time that is also destined to be timeless. While it is neither a fanzine nor a critical work, it is a source document for future scholars of both fandom and the developmental states of feminism and science fiction." "What I admired most about the collection was that, far from being the kind of shiny 'aren't we marvellous' text that usually emerges from conventions as souvenir books, many of the pieces in the book are designed to ask the uncomfortable questions, or to point out some of the failings and inadequacies of previous panels or discussions at various Wiscons. These kinds of criticisms online can turn so easily into vicious and circular flamewars in which people end up spending more time shouting in defence of friends 'under attack' than actually discussing the important issues raised.